Public Memory is a concept that is intertwined with history in many different ways, so it’s no surprise that memory is a theme that has come up over and over again here on Play the Past. 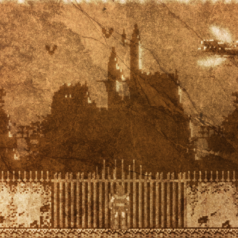 Memory and videogame intersect in a number of different ways, from prompting us to reflect on the memories of real events to using fictional histories to make us think about the ways in which memory and history function. 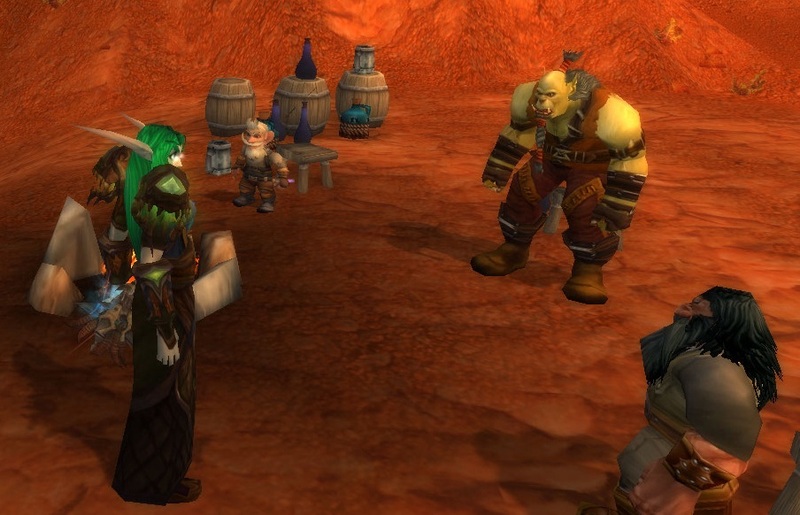 One of the most overt ways in which a game has dealt with questions of memory and history is in World of Warcraft: Cataclysm, the third expansion for the game which debuted in 2010. 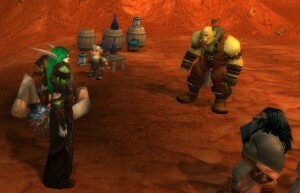 As Emily Bembeneck pointed out in her article, the Cataclysm expansion introduced major narrative developments that changed the very landscape of Azeroth. Players, however, experienced most of these events only in past tense. They logged off one day with the world as they knew it, then logged back on the next to find the world shattered. The quest “The Day that Deathwing Came” deals with players’ relationship to these now historical events by retelling them through the eyes of three different storytellers, each of whom remembers the events in a contradictory and implausible way. While a quest that lets you punch Deathwing in the face is pretty entertaining in general, the three tales demonstrate on a very basic level some of the issues with history and memory that historians deal with. As Emily notes, many kids in history classes don’t think of history as a product of memory and narrative. They just think of it as a list of dates and events with little thought to how those lists are created. Cataclysm shows simply and humorously how every history is filtered through someone’s memory or interpretation. Memory is also a major theme of the adventure game Oxenfree. Christopher Sawula shows us how the game itself is a bit like going on a guided tour of a museum, with the game’s island setting littered with a rich history that a lack of public interest has failed to properly preserve. 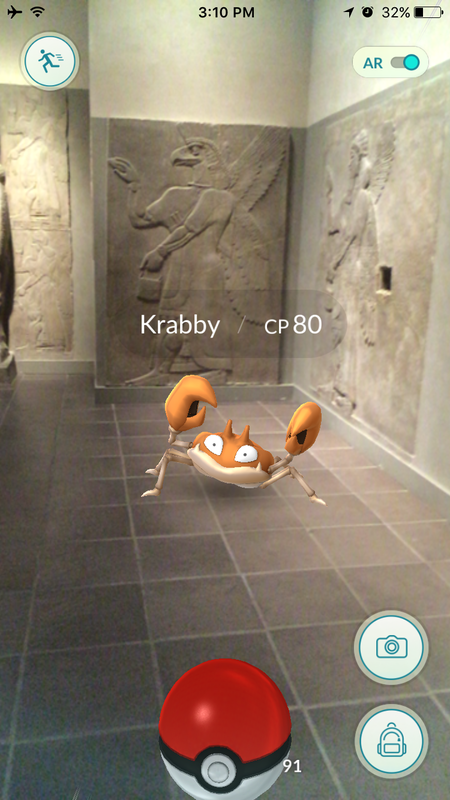 Historical sites are in disrepair or outright ruin, and many events of the past have simply been forgotten. As Christopher notes, much of the narrative that the player discovers along the way is incorrect, though it’s possible to complete the game without ever realizing it. The public memory of real-world events can also be a theme of videogames. In another of Christopher’s articles, he discusses the way in which memory of the First World War is dealt with in the game Valiant Hearts. 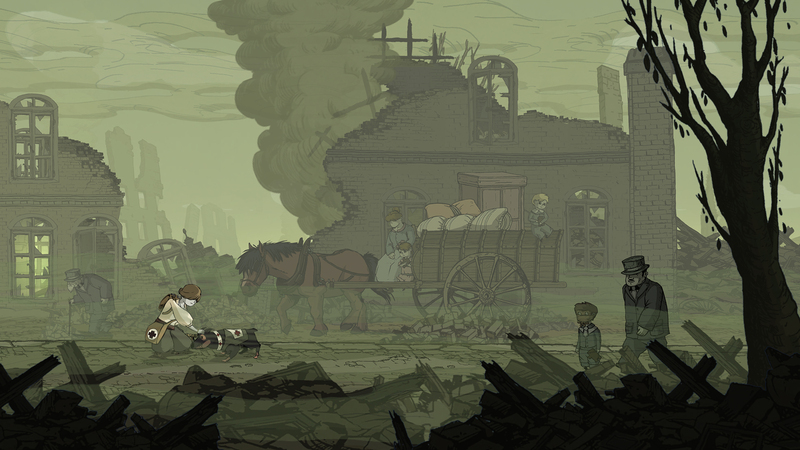 While World War I lacks much of the dramatic and emotional treatment that other wars get in the American media, he notes that the game can serve a pedagogical function by filling in the gap in American public memory by reminding players of the personal toll of the war. Just as we have games that are useful tools for teaching the idea of public memory, we also have games that fall short (or at least provide useful counterexamples). 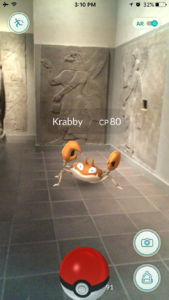 Trevor points this out by noting some of the controversies surrounding Pokémon GO, which makes use of public spaces and sites of public memory in its design, but failed to address their cultural significance in any meaningful way, leading to the game being banned in sites like Arlington Cemetary and the Holocaust Muesum. While thinking of memory in games in terms of fictional and real-world memory can be useful, many games also blur this distinction. One example is EVE Online. David Hussey reminds us that while the history of Azeroth was largely written by the developers, the virtual space of EVE has a history that was created by people playing the game itself. Finally, Gilles Roy has an entire series of articles on the relationship between memory, narrative, and history, and how the use of big data in historical research impacts those relationships. As I mentioned at the beginning, history and memory are deeply connected, so while these are some of the more prominent pieces on videogames and memory here on Play the Past, this list is by no means exhaustive. Rather than an encyclopedic reference, consider this a starting point for thinking about public memory and games. What other articles here on the blog or elsewhere contribute to this discussion? What other games should we be adding to the list? Feel free to suggest a few in the comments below.